It All Ends. So sad, so epic, can't wait, it's almost time! Last week we featured the first gritty, new character poster for Harry Potter and the Deathly Hallows: Part 2 that Warner Bros has been slowly unveiling on Facebook. We've been following along as more get revealed and at this point, given we're kicking off a new week, I thought it'd be best to collect everything they've revealed so far, though I have a feeling they're going to continue with these for a while since there are so many beloved characters from the Harry Potter universe. You can see seven of them below (click for bigger) and we'll keep it updated as more are revealed! 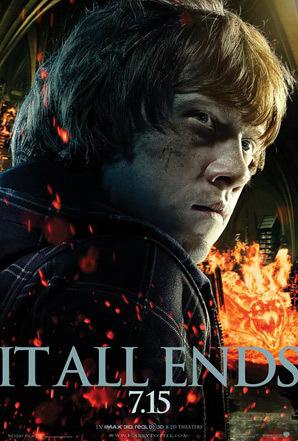 First up, we have the Harry Potter (Daniel Radcliffe) poster, along with Ron (Rupert Grint) next to him. 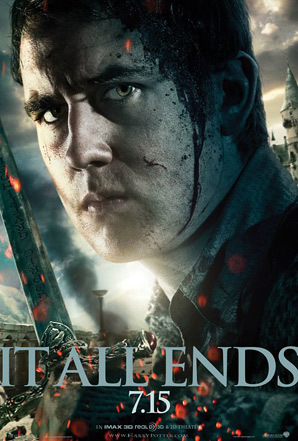 Next, it's Hermione (Emma Watson) looking fierce, right next to Neville Longbottom (Matthew Lewis). 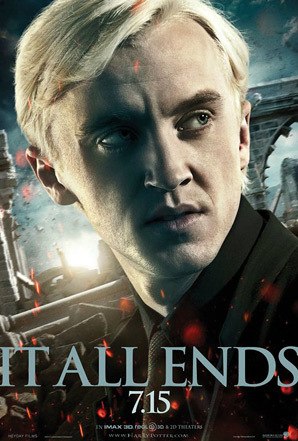 Finally, it's Lord Voldemort (Ralph Fiennes) looking pissed as always, plus Draco Malfoy (Tom Felton). "Has it ever crossed your brilliant mind that I don't want to do this anymore?" for Snape (Alan Rickman). 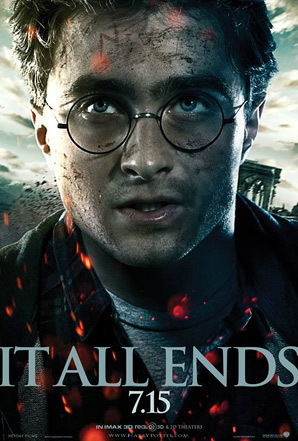 The end begins when Harry goes back to Hogwarts to destroy the final horcruxes, but when Voldemort finds out about the mission, the biggest battle begins and life as they know it will never be the same again. Harry Potter and the Deathly Hallows is again directed by British filmmaker David Yates, of Order of the Phoenix and Half-Blood Prince previously. The script was also written again by Steve Kloves, of Sorcerer's Stone, Chamber of Secrets, Prisoner of Azkaban, Goblet of Fire, and also Half-Blood Prince, but not Order of the Phoenix. 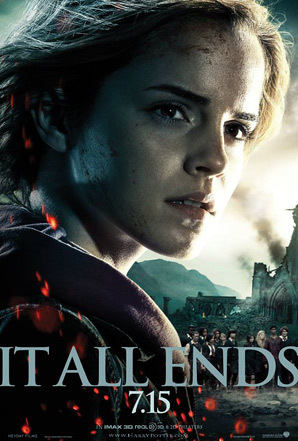 This is based on J.K. Rowling's very popular series of books which have already concluded. Harry Potter and the Deathly Hallows: Part 2 arrives in theaters in 3D starting on July 15th this summer! Why are they so dirty? The posters or the people? They've been fighting, tirelessly, fighting for their lives and fighting for Hogwarts and magic as we know it! like the images, hate the typo. small and subtle what have been just fine. Not 6 new people, therefore not news. Ouch... how are we going to have new people when we're on the 8th movie? I've only seen the first 2 films. Who's the Cliwe Owen lookalike? I think they're great... I'm ok with the font. 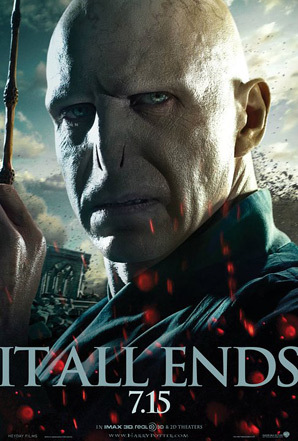 Voldemort looks so epic, can't freaking wait! 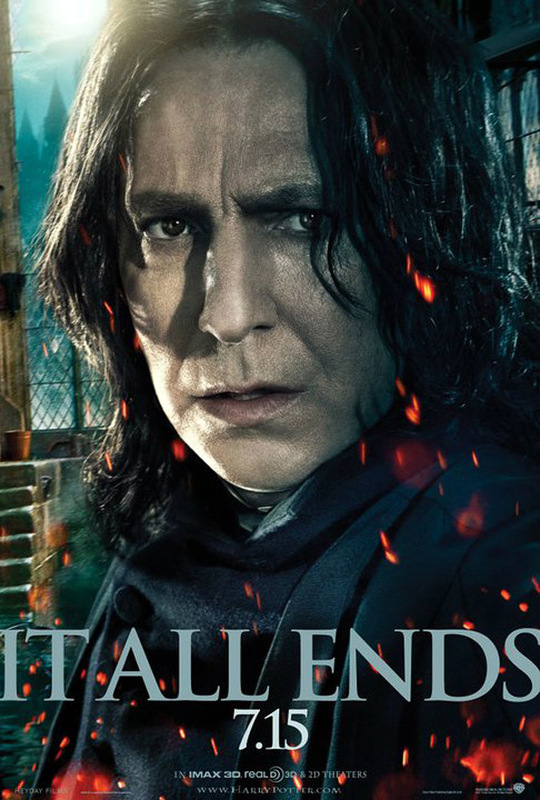 Where is.. Trent Reznor.. no wait.. Alan Rickman.. no wait Snape? The end cannot come soon enough.